I was back in Narragansett to finish the final(?) 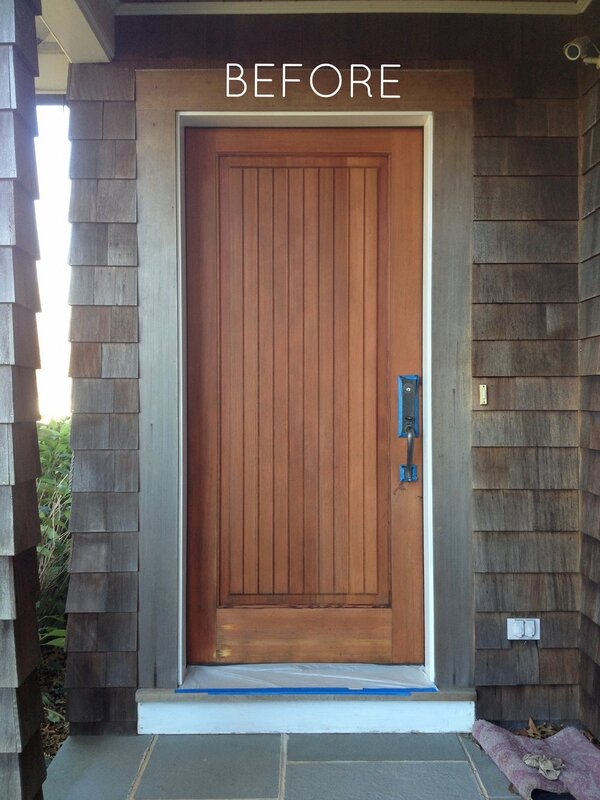 project at my client's beach house. 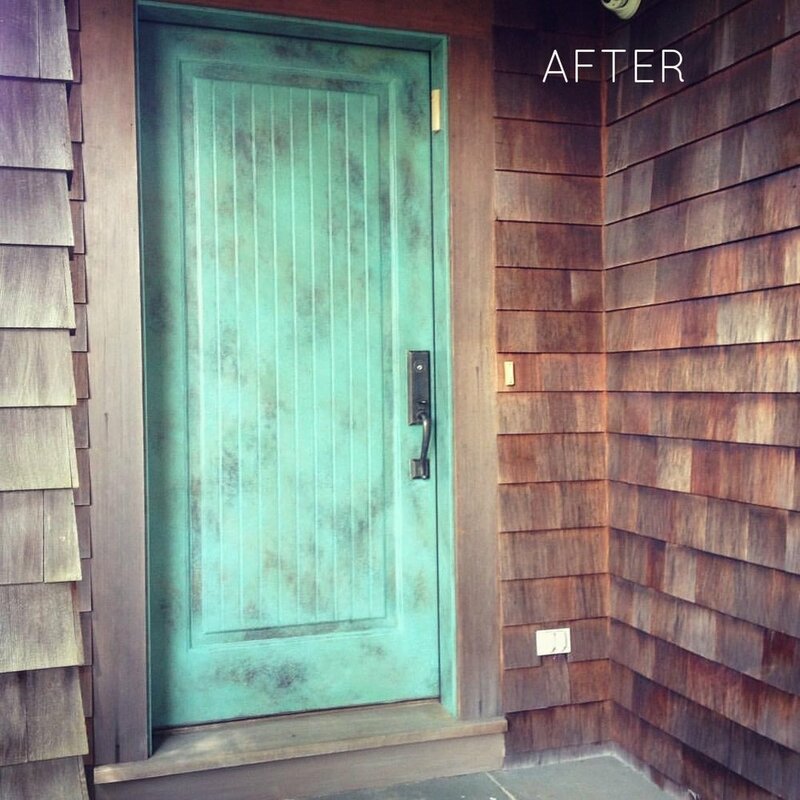 I hand painted the frame and exterior door in a verdigris finish to compliment the interior decor. I also painted the white kick board to match the surrounding wood frame. Now the door gets all the attention! This and the other finishes I did started with the vision of interior designer, Skip Carlin. It's always a pleasure to work with him. He has a great sense of design and a keen eye for detail. Which always makes my end result even better. Here are the other special finishes I did that enhanced their space into something unique and special. Posted on August 22, 2016 by Sandra MacDonald and tagged South Kingstown VENETIAN PLASTER verdigris door hand painted decorative painter in RI Faux finisher in RI providence faux finisher beach house.